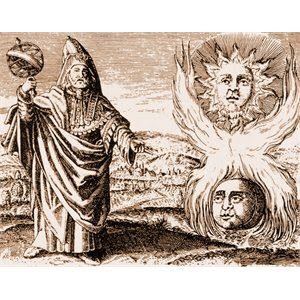 The use of essential oils in magic began prior to their distillation by means of the alchemists retort and alembic. The distillation of essential oils came long after the the use of aromatic plants and their use in vegetable oil and animal fats. Aromatic unguents and solid perfumes, as well as anointing oils, or aromatic plants infused via maceration in a carrier oil was the original way of practicing the hollowed art of perfuming. And it was indeed a hollowed art. As I have mentioned before the use of aromatic plants in the production of incense and subfumigations have an amazing heritage in both religious and occult practice. Whether the aromatic plants were given as offerings, or used for their corresponding powers for the purpose of altering fate, protection, and exorcism, or cleansing. These are just to name a few of the ways in which aromatic plants were utilized. The philosophical thought that goes even today into the formulation of aromatic plant products (incense, anointing oils, perfumes, etc..) Are varied by tradition, but are mind blowing in their various levels of symbolism and complexity. Associations and correspondences with the plants, and their various abilities to cause change are staggering. A common practice used around the world for determining a plants more esoteric properties was called the doctrine of signatures. To give an overly simplified example, plants that have leaf characteristics that make them look like snake fangs are associated with curing snake bites. To give a more complex example we can look at the more hermetic associations and correspondences. Solar plants or plants ruled by the sun would have solar properties, and solar symbolism in their morphology, the color yellow and orange might be found in their flowers etc. The idea is nature speaks a language and man learns to speak that language to understand nature and the gifts that nature gives. As I’ve mentioned the level of complexity in understanding this language goes deeper and deeper. With greater complexity in philosophical understanding of this language of nature comes a greater knowledge of powers of these aromatic plants. A fascinating example is that of Abremelin oil. An oil that links back to the holy anointing oil of the bible and moves outward to the magical practices of medieval practitioners of occult arts, and even still today in the modern practices of magical orders such as Thelema. A fascinating example of how a simple maceration of aromatic plants in olive oil can have, when intention is applied a level of depth that makes us ask some very important questions in regards to perfuming as an art an fashion. This also gives an example of the ability of aromatic products to delve into the liminal, the transpersonal, to be like many forms of art… something that tugs at, and stirs the soul. Where is perfume in this respect today, and where is the perfumer as high artist, as magician and alchemist? And where lays the aesthetic of the “consumer” of perfumes? There is a depth of both wearing perfume and making perfume that has not been explored outside of shamanic, religious, and esoteric practice. Because of this perfume is primarily thought of as secular, and shallow in meaning, yet some how aesthetically some perfumes are given high standing in the realm of art and fashion. There is a disconnect here… There is a need for the secular to be bridged with that which has depth or meaning, with the liminal. 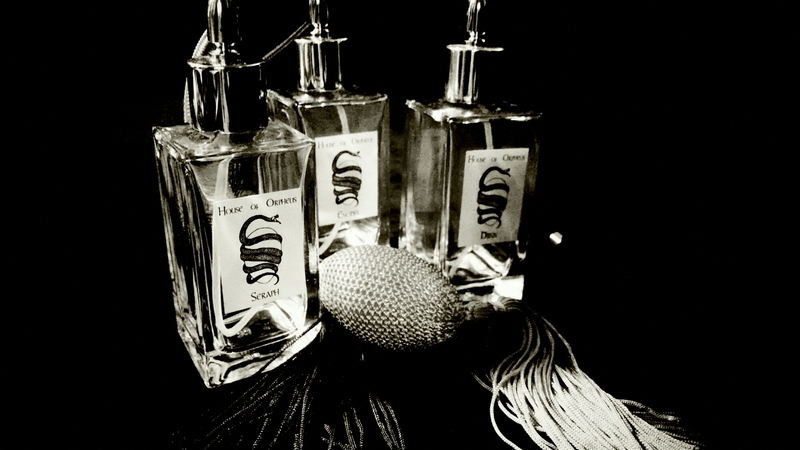 As we see from perfumes history and even its current, modern use in esoteric and religious practice today, perfume has a depth and aesthetic that goes beyond how we commonly understand it and know it. As well as how we wear it and work with it as a part of our daily life. It is my hope at the House of Orpheus to create this bridge between the secular use and production of perfume with that of the liminal, the sacred, and the magical.